According to a report from AS, Premier League star Eden Hazard is adamant on a move to Real Madrid this summer and waits for Chelsea to name their price to Los Blancos. Viniera Zidane o no, tenía decidido desde hace tiempo que este será EL verano. Su entorno espera al acuerdo Chelsea-Madrid y calcula que por 100-120 kilos le dejarán salir. Despite Chelsea not being at their best, Hazard has performed at a high level and is enjoying one of the best seasons in his career so far. The Belgian forward managed to carry his red hot form from the FIFA World Cup and has been one of the best players in the English Premier League so far. Hazard has racked up 13 goals and 11 assists and proved his calibre against the toughest rearguards in the world so far. Thanks to his exploits, Chelsea went to Carabao Cup and are well in course to lift the Europa League. Chelsea are currently 6th in the Premier League after their 2-0 defeat last night against Everton. Hazard will be entering the final 12 months of his contract in coming months, and has refused to accept the offer on the table to extend his stay with Chelsea. The 28-year-old has openly flaunted his desire to play for Real Madrid in interviews throughout the year. Meanwhile, Real Madrid are currently 3rd in the La Liga table, 12 points behind leaders Barcelona, and out of the Champions League and Copa Del Rey. 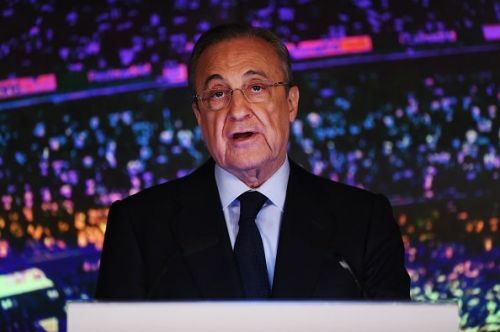 Los Blancos president Florentino Perez is keen to bolster the squad with some new signings as per the wishes of the new manager Zinedine Zidane. It is no secret that Hazard is eager to make his dream a reality with a summer move to Los Blancos. According to the report, it is up to Chelsea to name their price so that Los Blancos can be in agreement of the transfer. The expected price will be around €100 to €120m, significantly cheaper in the current market Moreover, Hazard is set for a move to Los Blancos irrespective of the arrival of Zinedine Zidane. Real Madrid are expected to spend huge in the summer transfer window and with Hazard willing, the move is more or less likely in the summer. Real Madrid will host Huesca next in the LaLiga.